Peace Line Monthly – Mehrangiz Kar is a lawyer, a writer and a journalist focused on human rights and the spread of democracy. Ms. Kar has won at least eight internationally recognized human rights awards, and currently is working at “Pembroke Center for Teaching and Research on Women” at Brown University. 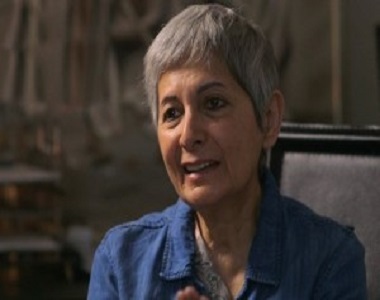 On the tenth anniversary of “Human Right Activists in Iran, (HRAI)”, Peace Line Monthly has asked Ms. Kar’s opinion on HRAI’s performance and effectiveness on the growth of the civil society of Iran. How would you describe HRAI in general? HRAI, is an organization that was formed within Iran and it has not necessarily been related to the global human rights organizations, and naturally when it comes to human rights it is valued and important to be within a country where human rights is widely and in many forms violated. However, this is my personal opinion and many might not agree. Students and youth who were in raw danger in terms of human rights during the late 90s and early 2000s, established an organization to defend human rights and became the pioneers. I should again mention, the young age of these group members is very important; in my opinion, it is a positive point that finally in the Iran of after the Islamic Republic, a new generation of victims and university educated people were able to realize that Iran is in need of developing such a discourse, and that they needed to create a young human rights core within Iran. Each one of these young people, without having any special political background became a journalist. They certainly did not anticipate the consequences, the security problems and that they would spread across the world into countries where Iranian immigrants live. In your opinion, how has HRAI (as a human rights organization) effected the growth of the civil society in Iran? In my judgement, HRAI has been influential in promoting human rights discourse in Iran. What has been really interesting to me, by following the reports and news that HRAI publishes on human rights’ situation in Iran, is mentioning all the details in the reports. However at times there might have been mistakes in mentioning these details, yet it has continued its work constantly and continually. It should be noted, HRAI and especially its news agency HRANA are established names and having an established name means that they are effective. The degree of this influence cannot be determined, however when an organization’s name is established, it shows that it has covered a wide range of information, and it certainly has had audiences and has been noticed by the international human rights communities. If it is possible to highlight one positive feature of HRAI, what would that be in your opinion? I believe what is important, is the permanence of this organization. We have witnessed hat many organizations in this field were created, yet for whatever reasons, they were not able to survive. If I have to give HRAI a positive credit, it would be that, its primary core has been created in Iran at the time of the bordering between Khatami and Ahmadinejad and when the country was entering a new political phase, and that despite all the vicissitudes that HRAI has faced within and outside Iran, it has been able to stand firm for 10 years and this in itself is highly commendable. Would you like to say anything to the colleagues and friends who have supported HRAI for the past 10 years? I believe that now that HRAI’s name has been established as a known human rights organization, it has an obligation to work harder and broader towards the realization of the rights of the victims. Indeed I understand, while HRAI’s members are scattered inside and outside of Iran, and having in mind, the security atmosphere, while most lawyers are even afraid to accept to defend political prisoners, HRAI is still trying in different forms to report on and aid the victims of human rights violations in order to attain their rights, yet I personally expect them to address the rights of these victims even farther. For instance, HRAI detects and publishes reports on the accused, which is then used by many human rights sources around the world, but even farther, anyhow and in any way, it should familiarize the accused with their rights. It should be noted, in Iran and since the Islamic Republic has been in power, what has led the human rights situation in Iran to wane daily, is that essentially people did not have enough information on the rights of the accused and convicts, and mostly they believed a prisoner has no rights; maybe just as a favor to the convict and his family they would allow visits. In my opinion, now that HRAI has been able to stand and continue for a decade, it should appreciate this opportunity and contribute a facet of its activism in order to further inform the convicts and the victims of their rights in accordance with both the Iranian and international laws; it should be done in a way that is heard and understood inside Iran. Although the accused might not be able to use this information to defend himself under the torture, but with this approach there will be a way for the family of the accused to be informed and use this information; with the goal that is based on these rights, they could follow the case of their loved ones who are in the prison and detention centers and they could interact with the authorities based on this information on the rights of the accused. Thank you for sharing your time with Peace line monthly.